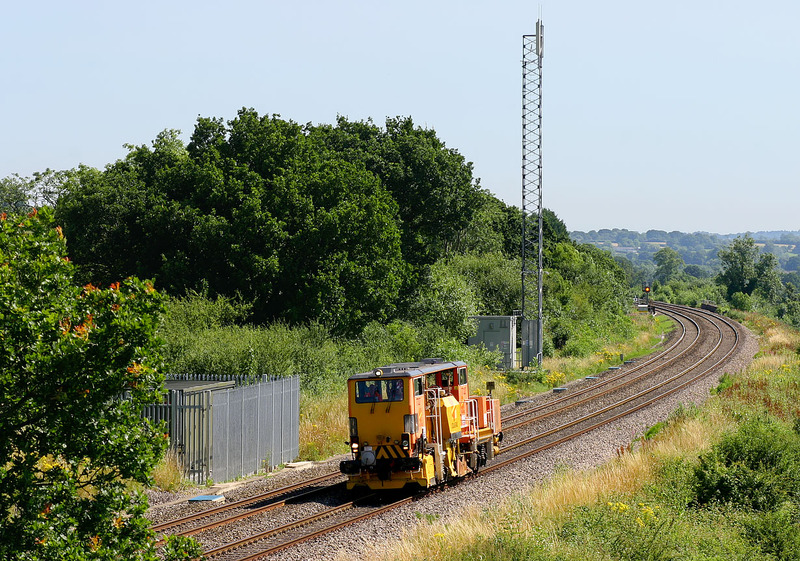 Colas Plasser & Theurer USP5000C Ballast Regulator 77327 passes Rodbourne on 19 July 2016, running as the 7Z09 10:12 Swindon Cocklebury to Bristol Kingsland Road. Unless you falsify history by cloning out the tall radio mast, this location is compromised when a full length train is involved. However, this track machine neatly fits in the gap between the modern infrastructure!